Pete Duchesneau’s practice focuses on most aspects of environmental law involving litigation, administrative proceedings, regulatory compliance and business transactions. 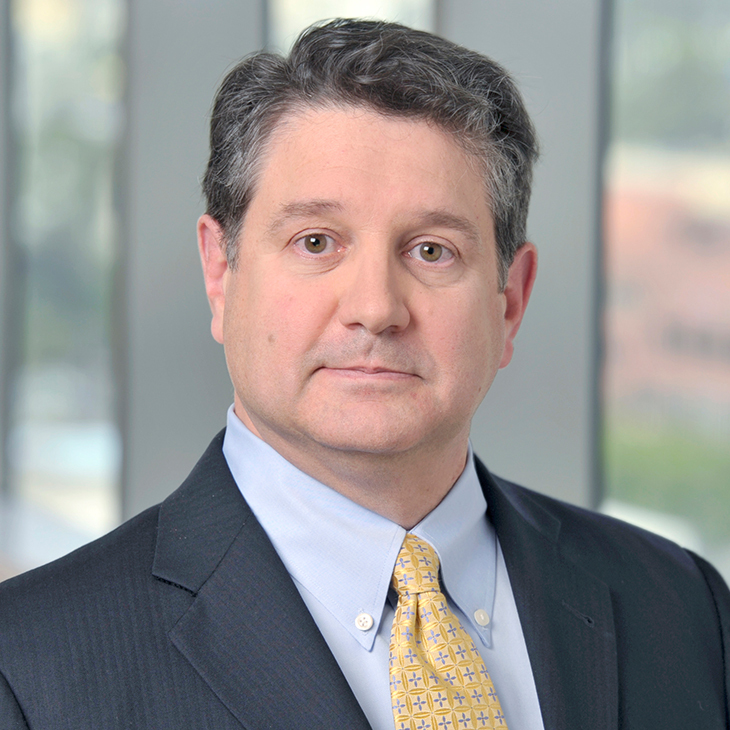 He handles complex environmental litigation in federal and state courts, including climate change, CERCLA, RCRA, Clean Water Act, products liability, toxic tort, and Proposition 65 actions, among others. Pete has significant experience with emerging chemicals and drinking water contamination. In addition to litigation, Pete counsels clients on regulatory compliance involving such matters as green chemistry, Proposition 65, the Federal Food, Drug, and Cosmetic Act, FIFRA/pesticides, OSHA, TSCA, RoHS, air quality, climate change, SMCRA, wastewater and hazardous waste; and has successfully represented clients before administrative agencies, including the U.S. Environmental Protection Agency, the California Regional Water Quality Control Board, the California Department of Toxic Substances Control, and the South Coast Air Quality Management District. He also advises on corporate and real estate transactions, brownfields, and environmental due diligence as well as with regard to environmental auditing. Prior to being an attorney, Pete was an engineer with an international environmental consulting firm where he performed work for the U.S. EPA , the California Department of Toxic Substances Control, and the DOD, among other clients. He later left consulting to join the corporate environmental management office of a Fortune 100 company, where he headed efforts to work with policymakers in the development of environmental laws and regulations and managed air toxics and Superfund programs. “California Safe Cosmetic Act, Proposition 65 & Safer Consumer Product Movement,” Independent Cosmetic Manufacturers and Distributors Technical/Regulatory Forum, February 20, 2019. “Navigating the Changing California Regulatory Environment,” Webinar, Independent Cosmetic Manufacturers and Distributors, January 24, 2019. “Prop. 65 Update: Latest Evolutions of California’s Toxic Warnings,” L.A. County Bar Association, October 10, 2018. “Update on Prop 65 Warning Requirements,” CalRecycle 2018 California Tire Conference, August 30, 2018. “California Update: Safer Consumer Products Program, Proposition 65, Safe Cosmetics Program & Transparency In Supply Chains Act,” Independent Cosmetic Manufacturers and Distributors Technical Regulatory Forum, February 13, 2018. “California Safer Consumer Products Regulation: Recent Developments Regarding Cosmetics and Personal Care Products” and “Proposition 65 Update,” Independent Cosmetics Manufacturers and Distributors Technical/Regulatory Forum, February 9, 2017. “Retail Environmental Compliance: What’s Next in the Regulatory Pipeline?” Webinar, November 11, 2016. “Building a Bulletproof Product, Complying with California Regulations,” Independent Cosmetics Manufacturers and Distributors Technical/Regulatory Forum, February 17, 2016. “Fracking in the San Joaquin Valley: What Does It Mean to You and Your Water Supply?” How Blue Is Your Valley? Your Voice, Your Future: A Community Conference on Water in the San Joaquin Valley, State Bar of California, Environmental Law Section, April 24, 2015. “From CERCLA to CEQA and All Points in Between - An Environmental Odyssey Toward Understanding and Managing your Clients' Environmental Problems,” L.A. County Bar Association, Environmental Law Super Symposium, March 27, 2015. “Implementing Best Practices in Your Company’s Procedures to Formulate Kid-Friendly Cosmetic Products That are Green Chemistry Compliant,” American Conference Institute’s 2nd Annual Legal, Regulatory and Compliance Forum on Cosmetics, March 4, 2015. “Preparing for California’s Safer Consumer Products Regulations,” Independent Cosmetics Manufacturers and Distributors 2015 Tech Forum, February 5, 2015. “California’s Safer Consumer Products Program – What’s Next?,” Independent Cosmetics Manufacturers and Distributers Association Cosmetic Regulatory Forum, March 6, 2014. “California’s Green Chemistry Initiative and Proposed Safer Consumer Products Regulations,” Independent Cosmetics Manufacturers and Distributers Association (ICMAD) Cosmetic Regulatory Forum, February 15, 2013. "Proposed California Safer Consumer Products Regulations," California Green Chemistry Webinar, ICMAD, October 1, 2012. "California Regulatory Initiatives: Green Chemistry, Proposition 65, Safe Cosmetics Act & ARB," Independent Cosmetic Manufacturers and Distributors (ICMAD) Cosmetic Regulatory Forum, February 16, 2012. “Subprime Aftermath: Navigating the Wake of Environmentally Impaired Assets,” L.A. County Bar Association, Environmental Law Super Symposium, March 27, 2009. “Lead in Toyland: Regulation of Toxic Chemicals,” L.A. County Bar Association, Environmental Law Super Symposium, April 4, 2008. “From Aviall to Atlantic Research: The Rebirth of CERCLA Cost Recovery Claims,” L.A. County Bar Association, September 26, 2007. “Carson Harbor Village v. Unocal Corp.: Another Torpedo Against Recovery?,” L.A. County Bar Association, June 7, 2006. “Water, Water, Everywhere, But Is There Enough?” L.A. County Bar Association, Environmental Law Super Symposium, April 6, 2006. “So Sue Me! Cooper Industries, Inc. v. Aviall Services, Inc., What Now?,” L.A. County Bar Association, Environmental Law Super Symposium, April 7, 2005. “Point-Counterpoint on the MTBE Groundwater Litigation,” L.A. County Bar Association, Environmental Law Super Symposium, April 1, 2004. Closing Remarks, L.A. County Bar Association, Environmental Law Super Symposium, March 27, 2003. “What’s Fair About the Unfair Business Practices Act in Environmental Cases,” L.A. County Bar Association, Environmental Law Super Symposium, March 22, 2001. Panel re Carson Harbor Village v. Unocal, L.A. County Bar Association, December 13, 2000. Awarded Pro Bono Attorney of the Year, Adoptions Project, Public Counsel (2012). Listed in The Best Lawyers in America (2014–2019). Listed in Southern California Super Lawyers®, Law & Politics Magazine/Thomson Reuters (2005-2019). Listed in Southern California Super Lawyers—Rising Stars®, Law & Politics Magazine (2004). Included in Who’s Who In L.A. Law: Green People, L.A.’s Leading Environmental Attorneys Discuss Their Best and Worst Career Moments, Their Most Challenging Cases, and How They Live a “Green” Lifestyle; Los Angeles Business Journal (Oct. 6, 2008). Author, “Recently Enacted TSCA Reform Will Fundamentally Change U.S. Chemical Regulation,” Environmental Leader, October 7, 2016. Co-author, “The Importance of Earnest Investigation of Industrial Properties,” Area Development, July 6, 2015. Chapter: "Initial Preparation and Strategies for Defending Against Contamination Claims,” Inside the Minds: Litigating Toxic Tort and Hazardous Waste Claims, Aspatore Books from West Thomson Reuters (2011). Argent Communications Group’s Environmental Liability Enforcement & Penalties Reporter, Editor (1997-2000).